An important note in respect to mechanically-attached systems is the distinction between clamping and drilling a snow retention system onto a roof. Drilling requires holes. And holes in a metal roof need to be properly weather-proofed to prevent leakage. At S-5!, we manufacture and market clamps and brackets to reliably mount snow guard systems to metal roof seams with clamps and setscrews that compress the seam material against the opposite wall of the clamp – dimpling the material, but not penetrating it – and without creating holes. For roof profiles that do not allow this clamping technology, we also offer penetrative attachments—but with some special (and vital) features. The sealants we use for waterproofing the holes created are designed to last the life of the roof. 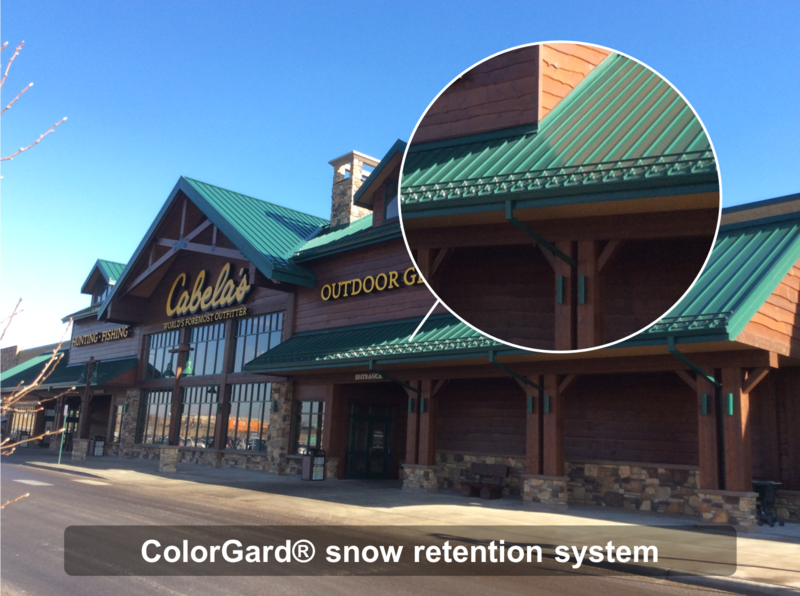 They are also protected from harmful UV sunlight—and they utilize part designs that prevent over-compression which can also compromise their service life. AND we test and warrant their performance in accordance to ASTM E 2140. With guards that attach directly to the structure, holes will need to be drilled (or other penetrations required) to anchor snow guard brackets, to ensure secure placement and the long-term service life of the roof. If this is not done correctly, you run the risk of developing leaks. To accomplish this, prior to installation with other (non-S-5!) products, you will need to perform additional steps to waterproof these roof penetrations, and you will have to know something about sealant chemistry, part design, sealant selection/sourcing, etc.). With S-5! components, we take the guesswork out and provide an appropriate system with sealants factory-applied. You simply remove the protective release paper and install.